What makes the GMC Sierra 3500HD such a popular work truck? The GMC Sierra 3500HD is a heavy-duty pickup truck that is powerful, durable and reliable. This work truck is resilient enough to handle any load, thanks to its incredible towing capacity. You are able to also stay connected and comfortable on the go, thanks to the available onboard 4G Wi-Fi and a cabin crafted for sound and vibration reduction. It offers state-of-the-art safety features like the rear vision camera and Lane Departure Warning that will keep you safe and in control as you drive. 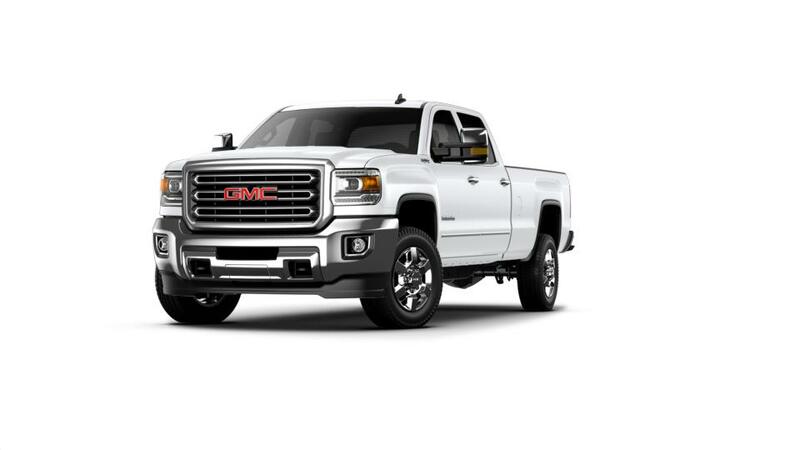 For more photos and available trim options, check out our GMC Sierra 3500HD page and visit our Tulsa GMC dealership to take a look at this truck in person. At Mark Allen Buick GMC, you'll find the best deals on New GMC Sierra 3500HD Vehicles in the Sapulpa & Broken Arrow area! We're committed to saving you money on your next New Car or Truck Purchase or Lease - while also offering an amazing dealership experience with the friendly & honest customer service you deserve! Please don't hesitate to Contact Us Online, Call Us at: (918) 770-4339, or visit the Mark Allen Buick GMC Dealership in Tulsa!